Roots Refills - Hair Salon, Hair Salon Courtenay, Hair Stylist. Roots Refill Bar is here! 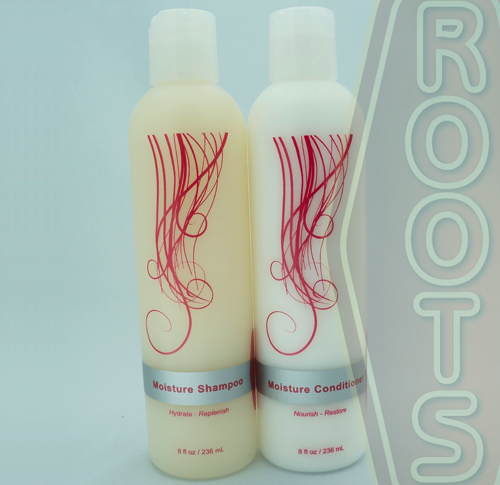 We have reformulated our Roots product line. Try our new Roots professional shampoo and conditioner, carefully selected by our Roots stylists to ensure quality and performance. Just bring in your shampoo or conditioner bottle at any time and we’ll refill it for 50% off. Help us reduce the accumulation of plastic be refilling. Now you can take care of yourself and the environment at the same time! With Club Roots you’re on your way to earning free hair care products, free makeup, free skin care products and more! Consider purchasing a Roots Gift Card delivered directly to you or the recipient in a box that is ready to give!